Citizens for Judicial Excellence is pleased to report the outstanding success of its GoodJudges Voter Information Project in the 2018 District Court elections. 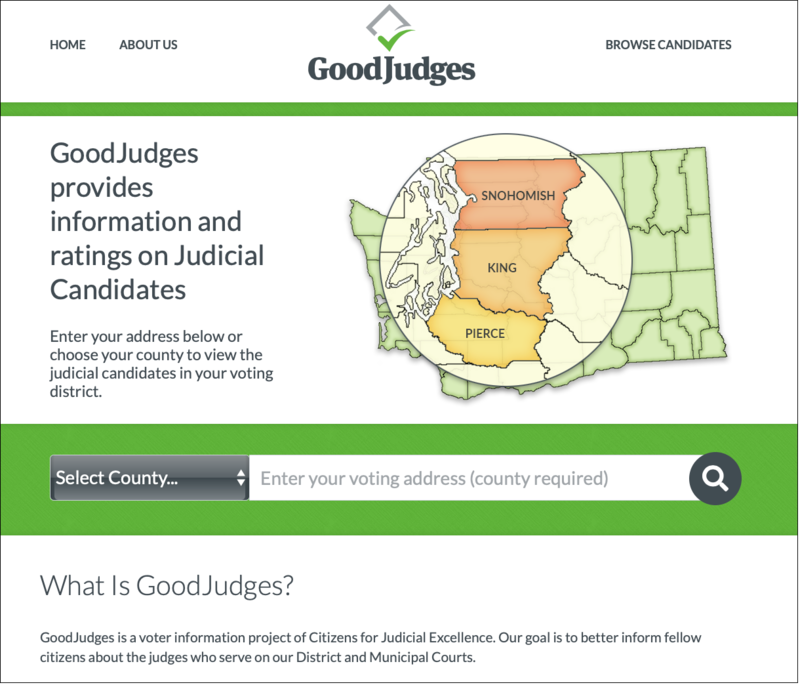 More than 68,000 voters visited the GoodJudges website in just the three weeks leading up to the election. 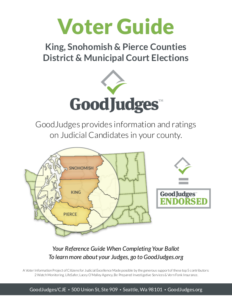 The GoodJudges.org website allowed voters in King, Snohomish and Pierce counties to quickly look up the district and municipal court judicial candidates who appeared on their November 2018 ballot. The GoodJudges website was promoted on Facebook as well. Judicial candidates endorsed by the CJE Membership sported a GoodJudges Endorsed logo. In addition, candidates who participated in CJE Judicial Candidate Evaluation and Rating process also received a GoodJudges/CJE rating that ranges from Exceptionally Well Qualified to Unqualified. CJE also published a 3-county GoodJudges Voter Guide. It was available as a printed guide and also can still be downloaded as a PDF from the GoodJudges.org website. CJE believes the GoodJudges project helped increase turnout and participation in the so-called “down ballot” judicial races.